May 30, 2014 – Sierra Nevada Corporation (SNC) has completed a detailed review on how it plans to meet NASA’s certification requirements to transport crew members to and from the International Space Station by 2017. The completion of the Certification Products Contract (CPC) marks a critical step in the development of next-generation American space transportation systems that are safe, reliable and cost-effective. SNC, Boeing and Space Exploration Technologies (SpaceX) have all completed reviews as part of NASA’s Commercial Crew Program. Throughout the CPC process, the companies provided plans to show safety has been a key element in the design of their spacecraft and demonstrate how their systems will meet NASA’s performance requirements. 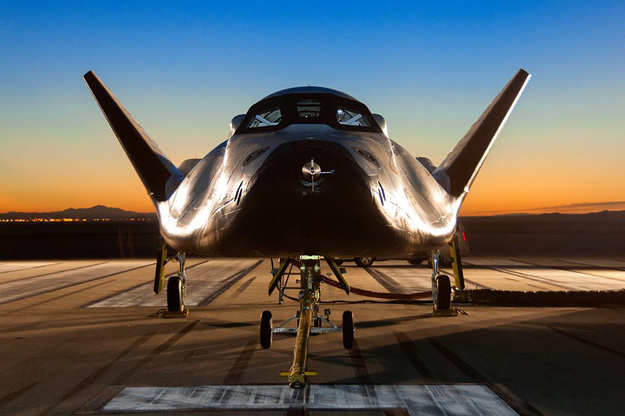 The second phase of the certification process, the Commercial Crew Transportation Capability (CCtCap), is open to any company with system designs at a maturity level consistent with the completion of the first certification phase. NASA will announce one or more CCtCap awards later this year. This second phase will include at least one crewed flight test per awardee to verify the spacecraft can dock to the space station and all its systems perform as expected. Contracts also will include at least two, and as many as six, crewed, post-certification missions to enable NASA to meet its station crew rotation requirements. Although CCtCap will enable NASA to acquire a capability to transport crews to the space station, NASA intends that U.S. providers market and use their systems for other customers.